Restore Mr. Game & Watch's Feather. Please restore what made the original forward smash sprites look more "complete". 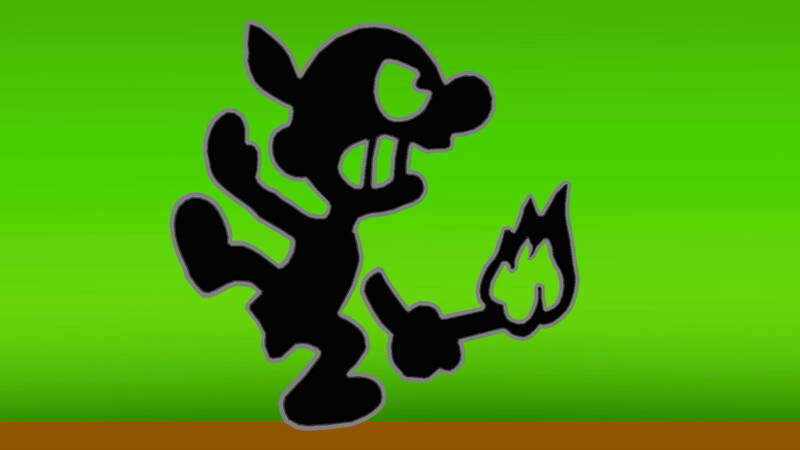 Nintendo removed, of all things, a FEATHER... from Mr. Game & Watch's Forward Smash since apparently it depicts a "negative" Native American stereotype. Yet despite that, he still wears the cloth thingy, so he's still basically a Native American, just without a feather. Seeing as some people were able to play and even rip files from the game before it was even released, surely there has been someone who preserved files from the pre-Day 1 patch which had the feather in the original sprites. Seeing the sprites without the feather just makes it look... unfinished. It doesn't quite feel the same in my eyes. If the current sprites also lacked the cloth at the crotch area, he might look a little more unique and not so "incomplete" since he would no longer look like a featherless Native American, but rather a bandit like Nintendo had changed the bad guys in the "Fire Attack" Game & Watch game to. Or just an angry normal Mr. G&W with visible eyes. If anyone is able to mod the feather back in, you will have my eternal thanks. Take the original sprite files from the Pre-Day 1 patch, and implement them over the current forward smash sprites. ...or at the very least recreate them, should the files be lost. Is modding the character's "models" complicated as of right now? ignoring my disagreements on this it shouldnt be hard. it seems unless someone forgot to upload the archive or something, this would be an easy file swap, all things considered, unless it goes above file size due to the fact that they took a part of the model out. in that case youd have to wait for saltynx. Theoretically this should be fairly easy to do yourself. It wouldn't be allowed on the site as model swaps aren't permitted. If you still have a 1.0 data.arc/XCI/NSP, you can grab the file from there and use it for your newer game version. HOWEVER, if the compressed size has changed, you will need to mess with zstd compression which is kind of hell to deal with. So until then, wait for SaltyNX for individual file loading.